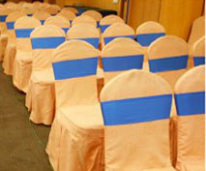 Inner Circle provides an elegant backdrop to your special occasion. Our catering and event specialists handle all details with genuine care and personal attention. You can feel confident that Inner Circle’s professional staff will leave no stone unturned. Tell us what you’re looking for, and we’ll assist you with all types of social events.With delectable vegetarian fare and banquet halls to accommodate 30-100 people, your search ends here.